People who live with cats like to joke about how these small fuzzy creatures are still wild, basically training us rather than the other way around. Now a new genetic study of ancient cat DNA reveals that we are basically right. Cats were not domesticated in the same way dogs, cows, pigs, and goats were. They have lived among us, but it wasn’t until very recently that we began to change them. Arguably, we are at the dawn of cat domestication. Today’s wildcats and house cats are still virtually the same. But in 8,000 years, we might have as many breeds of domestic cats as we do dogs. Imagine having a golden retriever-sized cat, with the same sunny disposition. Tomorrow’s cat lovers might be living with baby-faced tigers or ultra-fluffy purse cats who look like kittens forever. This explains why domesticated cats are so anxious to get outside the house where they kill billions of small animals annually. 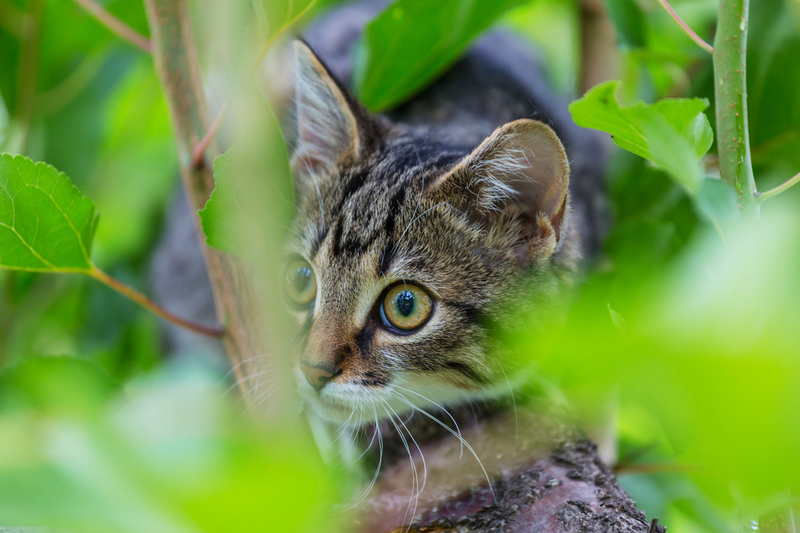 Keep your cat and other animals safe by building a catio!